It has been known since the third IPCC assessment (TAR) that the combination of increases in CO2 concentration, together with changes in rainfall and temperature were likely to have significant impacts on grasslands and rangelands, with production generally increasing in humid temperate grasslands, but decreasing in arid and semi-arid regions. Since the TAR research has found that plant community structure is altered by elevated CO2 and climate change (Easterling et al., 2007). This means there may be rapid changes in species composition and diversity, leading to vulnerability of some species and possible implications for ruminant livestock. Areas that are already colonised by relatively unpalatable plant species (such as upland areas in the United Kingdom) may become even less suitable for grazing at elevated CO2 levels, as species such as bracken, matt grass and tor grass could become more dominant. This would affect the nutritional value of extensive grasslands to grazing animals (Defra, 2000). Thermal stress has been shown to decrease productivity and conception rates and is potentially life-threatening to livestock. 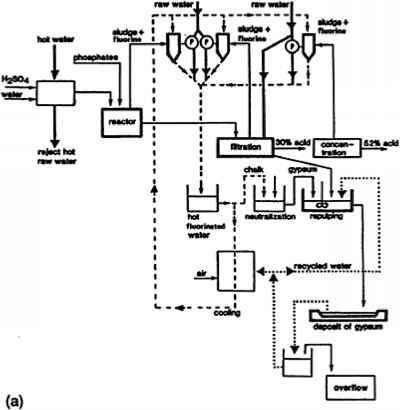 Models of animal energetics and nutrition (Parsons et al., 2001) have shown that high temperatures put a ceiling on milk production, regardless of feed intake. Increases in air temperature may potentially affect conception rates of animals not adapted to the conditions, particularly cattle. Model results from the United States show reductions in swine, beef and dairy milk production of 1.2%, 2.0%, and 2.2% respectively, for the 2050 scenario using the CGC (version 1) model, and 0.9%, 0.7%, and 2.1% for the HadCM2 model (Mader et al., 2008). Correspondingly, results since the TAR illustrate that increased climate variability and droughts may lead to livestock loss, both from exposure outdoors and due to poorly adapted housing and transportation methods. Extreme events and weather variability will have a far greater impact on animal productivity than effects associated with average changes in climate. Animals not adapted to weather events may suffer severe losses, particularly those confined in cattle feedlots (Hahn et al., 2001). Additionally, economic losses from reduced cattle performance are estimated to exceed those associated with cattle mortality losses by several-fold (Mader, 2003). However, such a calculation depends on how regulatory standards on housing and transportation in many countries are reviewed to accommodate increased temperature extremes. ENSO events are expected to intensify with climate change, leading to changes in vegetation and water availability (Gitay et al., 2001). Strong relationships exist between drought and animal death, especially in Africa and Mongolia (Easterling et al., 2007). The combination of drought and heat stress in animals is also likely to lead to increased pressure on water resources. Gradual temperature change, in conjunction with elevated CO2 levels, is expected to increase grassland productivity in general, with the greatest positive effect expected at high latitudes (Rustad et al., 2008). However, projected decreases in rainfall in some major grassland and rangeland areas may have important implications for productivity and plant species composition. Table 2.2 summarises the impacts on grasslands for different temperature changes.